The NFL has had many rulings that people love and people hate. The most recent one is the issue with pass interference. Everyone remembers what happened to the New Orleans Saints at the end of their game. 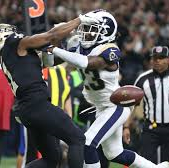 Los Angeles Rams defensive back Nickell Robey-Coleman hit New Orleans Saints wide receiver Tommylee Lewis before the football got there. Not only should it have been pass interference, but it should have been a defenseless receiver penalty. 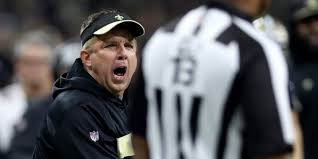 From there, the Saints would lose the game and that call was a point of contention for Saints fans' angst. Plenty were calling for the league to change the rules and allow the NFL referees to review these penalties. Well, the NFL has heard you and offensive and defensive pass interference will now be reviewed. With the new ruling that happened, teams can now review offensive and defensive pass interference calls along with being able to review those potentially missed pass interference calls up until the last two minutes of each half. Every NFL team was on board with the change except for the Cincinnati Bengals and everyone seems to be happy from the teams to the fans. While all seems well, what some have to wonder is how this will affect the game negatively. 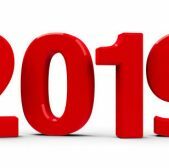 Everyone is excited about the change in rules and let's be clear, it is only an experiment for the 2019 season, but you have to remember things that could possibly be affected. For example, pick plays teams run with their wide receivers. No one could review those before this upcoming season. Now if a wide receiver sets a screen out there on the field, it can be reviewed and the play be overturned. 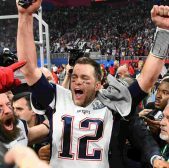 For a team like the New England Patriots, the change in ruling is not something Tom Brady and company probably won't be happy about down the line. 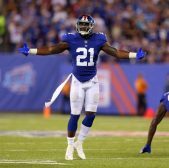 After all, it could cost them a game and that game could be the difference between the playoffs or going home or the difference between homefield advantage and going on the road in the playoffs. Another issue is going to be the time of the games. The biggest complaint many have when it comes to reviews are the time they add to games. Anyone who has watched a game has either groaned when a review happened or been around someone groaning and moaning when a reiview is happening. The new set of things able to be reviewed will now add the possibility of longer games. Keep in mind that these rules not only change what happens above two minutes but give officials more things to review under two minutes. Imagine officials having to review a hold, pass interference, offensive pass interference and a catch all under two minutes. That would be one of the longest two minute spans in NFL history and there would be plenty of frustrated fans. The changes in rules sound good but there is also a downside to the changes. While some will be happy, there will ultimately be some that don't like the ruling. This is a test and it will be interesting to see how this testy goes and how fans and teams alike enjoy the temporary changes.